Overlooking the island’s scenic hub of Baddeck, the 20-year-old Tom McBroom creation offers shutterbugs a strategic vantage point as it zigzags its way up a steady slope above the scenic tourist town, with the twinkling Bras d’Or Lakes beyond. Rick Young is a contributing writer to SCOREGolf and a noted expert on golf equipment and business. Golfers are motivated by courses that capture their hearts, and the memories of playing experiences that randomly pop into their minds and bring a smile to their faces. Bell Bay Golf Club is like that. I’m smiling right now writing this. Though I’ve not been back in quite some time, my memories of this Cape Breton, NS, gem remain vivid. In many ways it feels like I was just there. Such is the allure of the place and its charm. What do I remember most? The vistas. How can you not? They’re spectacular.Situated on an engaging piece of topography near the village of Baddeck and Bras d’Or Lake—the same lake Alexander Graham Bell became so enamoured of he built his ‘Beinn Bhreagh’ (Beautiful Mountain) homestead on—Bell Bay’s ties to the world famous Cabot Trail make it an Atlantic Canada panorama. It is a place where golf and landscape blend seamlessly to assure memorable shots—with clubs or camera. And that finish. 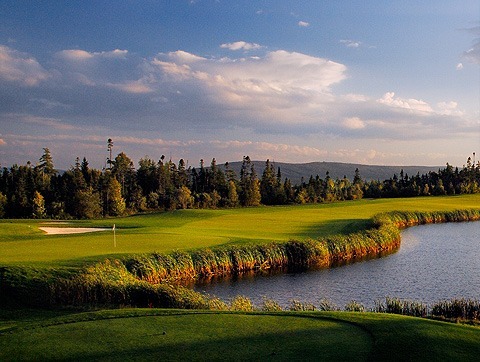 Few golf courses boast a set of closing holes quite like the ones at Bell Bay. From the tough par-4 15th through to the picture-postcard par-5 18th, what makes the game special is on display. Truly, course designer Tom McBroom saved the best for last. This is a special year for Bell Bay. 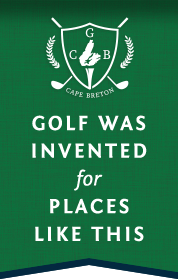 The club will celebrate its 20th anniversary in 2016 with an array of celebrations that culminate with The Mackenzie Tour/PGA Tour Canada’s bringing the Cape Breton Open to the course at the end of August. Some of the best young touring professionals in the world are going to find out firsthand what visitors to Bell Bay already know: this is an outstanding facility. 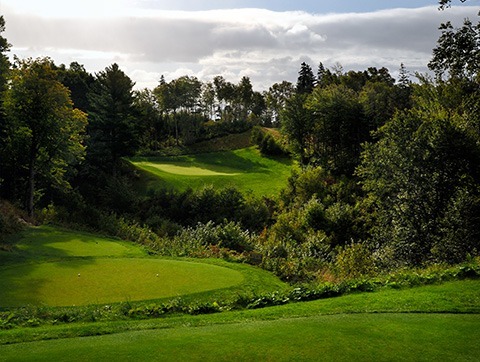 It is ‘bag-on- your-shoulder’ comfortable to walk, superbly routed, and is home to one of the Maritimes’ most envied practice facilities. With an equally fine clubhouse, Bell Bay is capable of shining in any national or provincial spotlight. “It will be a great test for our players as they work towards making the next step on the path to the PGA Tour.” said Mackenzie Tour/PGA Tour Canada President Jeff Monday. “Bell Bay is a tremendous opportunity.” It always has been. 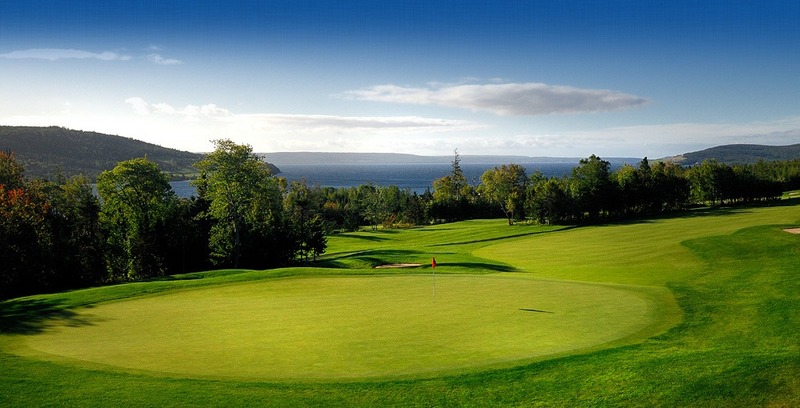 Since Golf Digest awarded it Best New Course in Canada in 1997, and more recently in 2013 when SCOREGolf ranked it among the Top 5 public courses in Atlantic Canada, Bell Bay Golf Club has been providing golfers of every skill level with opportunity. 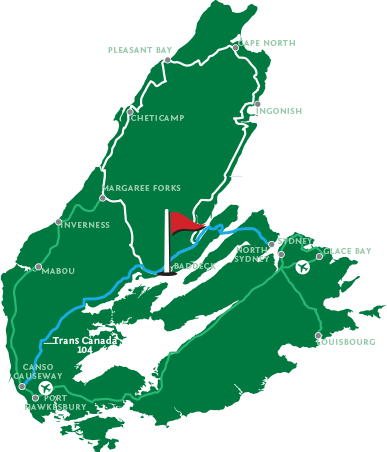 It’s a fun, challenging Cape Breton experience that will test your game, offer you next-level enjoyment, and, for sure, will bring a smile to your face. For me Bell Bay always has.